When a sheriff's deputy discovered shattered glass and several key fobs scattered on the floor of an Oregon dealership in March, it was a nightmare scenario for Buick GMC of Beaverton. Three cars and several key fobs had been stolen. A deputy pulled over a 2015 GMC Yukon for a suspected DUI the morning after the theft and found several key fobs and a dealership sales sticker in the vehicle. The discovery led to the investigation of the dealership and the realization that the car had been stolen along with a 2014 Jeep Cherokee and a 2015 Chrysler 300. The Cherokee was recovered in another suspected DUI stop the same morning and the 300 was soon found abandoned at a construction site. Limit your liability and keep your keys from falling into the wrong hands during a break-in by implementing a secure method of key control, such as an electronic system. 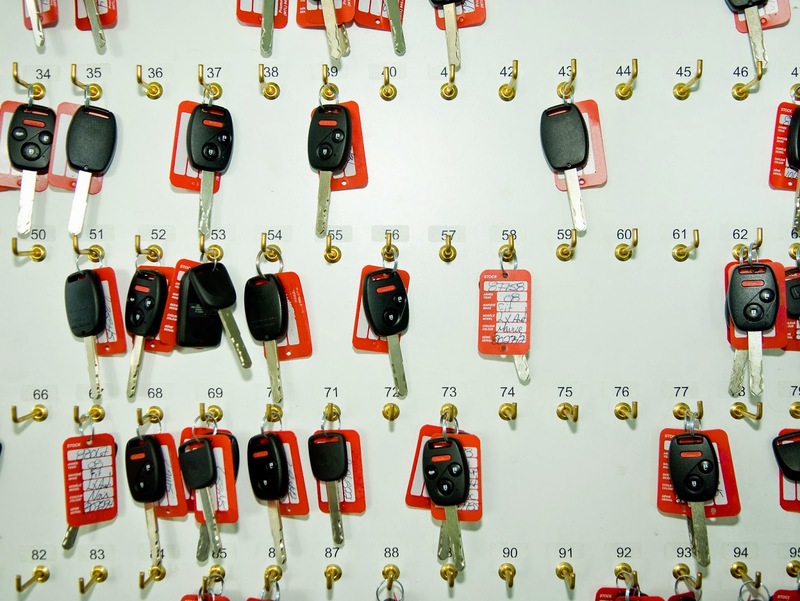 An electronic key control system allows keys to be tagged and added to secure drawers or cabinets as soon as the vehicles arrive on the lot. Access can be controlled with computer passcodes, a biometric fingerprint scanner and/or a proximity card reader. Alerts can be sent immediately to a cell phone or email address if there is an unauthorized attempt to access the keys. Find out more ways you can keep track of your keys with an electronic key control system from our post "Do You Know Where Your Keys Are?" Could a hacker figure out your employees' passwords? Just as it's vital to create secure passwords online to protect their personal information, it's important to create a secure password for your business systems accounts. In the infographic below, GCFLearnFree.org has put together a list of the most common password mistakes people make. By creating secure passwords, you can reduce the likelihood of unauthorized users accessing your accounts. To make hackers' jobs even harder, consider combining passwords with an additional login method, such as biometric fingerprint authentication. How do you encourage your staff to avoid password pitfalls? Let us know in the comments below!